AMES, Iowa — An exhibition of architectural projects, drawings, writings, installations and short films by Iowa State University architecture students will be on display Feb. 4-9 at the ISU Design on Main Gallery, 203 Main St.
“Weather Permitting: Artifacts from the 2018 ISU DoA Venice Architecture Biennale Colloquium and Beyond” features artifacts from and work developed in response to an educational Biennale Session sponsored by the ISU Department of Architecture at the Venice Architecture Biennale in Italy last September. An opening reception will be from 6:30 to 8:30 p.m. Monday, Feb. 4. Gallery hours are 2 to 5 p.m. Tuesday, Wednesday, Friday, Saturday and Sunday, and 2 to 7 p.m. Thursday. 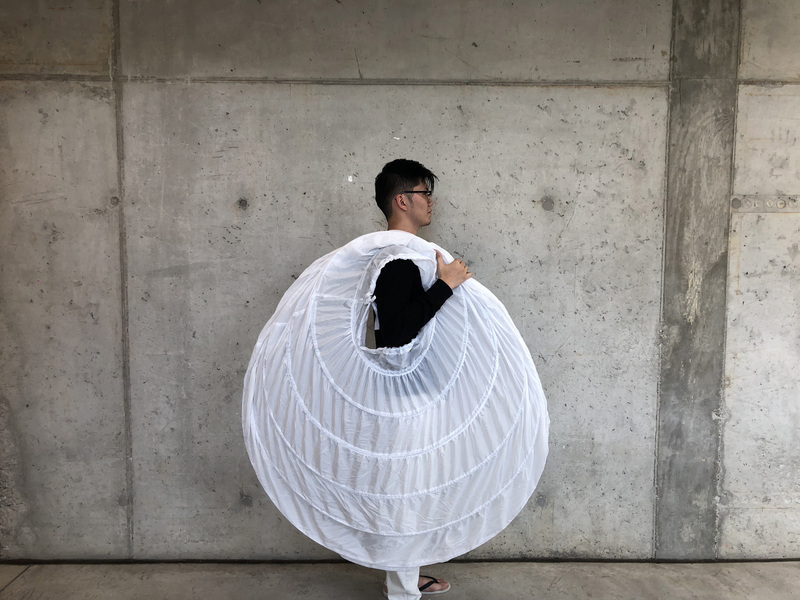 “Weather Permitting” consisted of a two-day student workshop and a subsequent colloquium on the twin themes of architectural atmosphere and eco-aesthetics. The workshop product was formed from the dialogue between two sets of apparatuses — a Kite Choir and an Air Field — that translated the literal atmosphere of nature into an architectural atmosphere, to serve as a stage for the colloquium. The event was organized by architecture assistant professors Firat Erdim, Peter Goché and Andrea Wheeler and associate professor Mikesch Muecke. While still in Iowa, students and faculty rehearsed the Kite Choir, an ensemble with custom-made kites and aeolian (wind-driven) sound instruments. 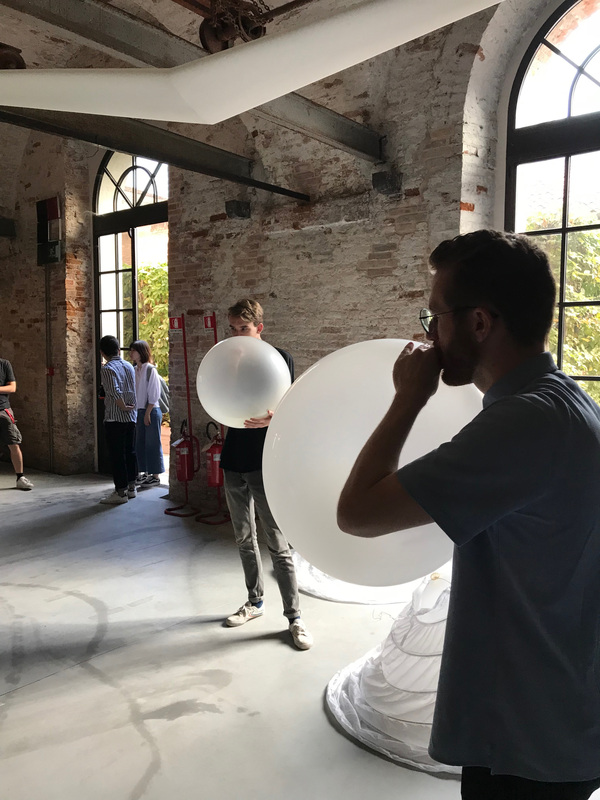 In Venice, recordings from these performances were housed in the Air Field, a pneumatic installation at the Venetian Arsenal dependent on the breath of the session participants. 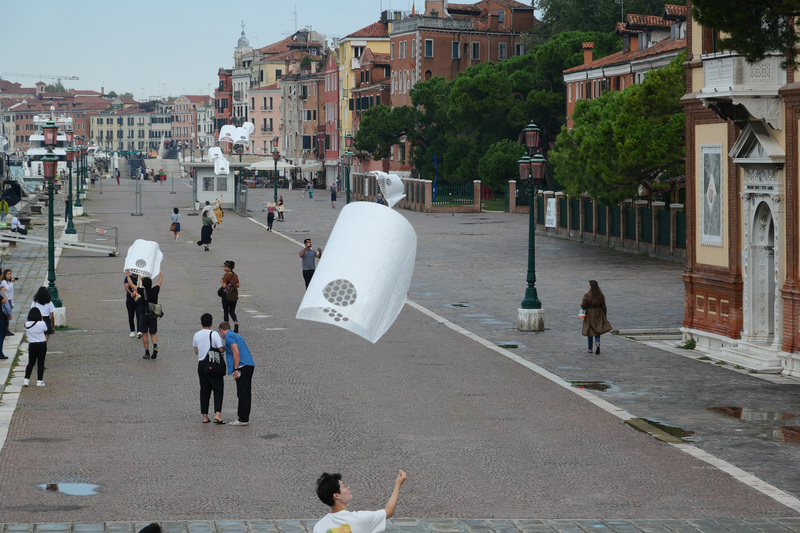 Throughout its time in Venice, the Kite Choir roamed the city in pursuit of the wind and performed the score composed for it by Paula Matthusen, associate professor and chair of the music department at Wesleyan University, Middletown, Connecticut. 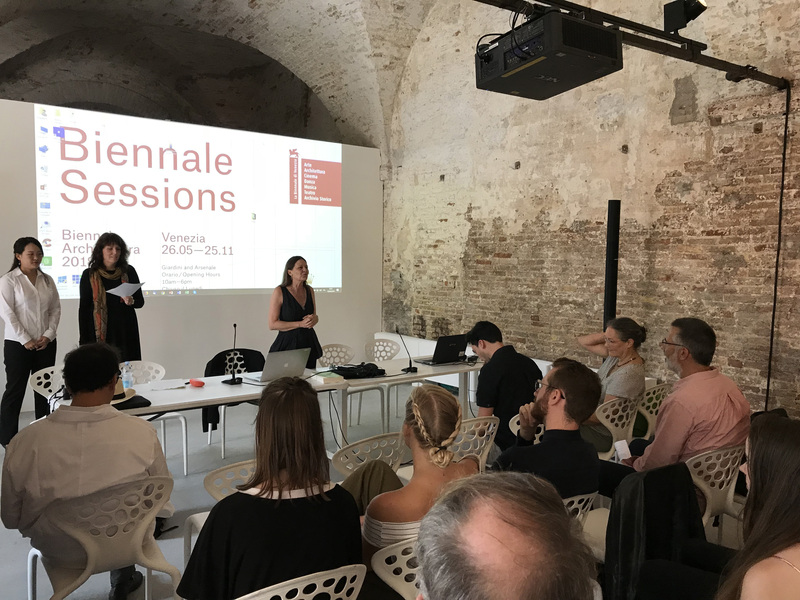 The Biennale Session concluded with a colloquium on the philosophy of architectural atmosphere and its relation to natural and cultural environments, moderated by ISU architecture department chair Deborah Hauptmann and featuring guest speakers from the University of Edinburgh, Scotland; Auckland University of Technology, New Zealand; Delft University of Technology, the Netherlands; Wesleyan University and Berlin, Germany.